Nonprofit organization | vimbo means fortitude. I’ve been awake for the last 3 hours because of this little thing called jet lag 🙂 It’s good to be home, back in the USA, and I know that I still need to write about how my trip ENDED (I will do that soon!). For now, here’s a little video I recorded the first week I landed in Zim. Why I’m not moving to Zimbabwe this year AND why TineVimbo is still a thing. So, I have tried to write this entry for a couple of weeks now. It’s been tough. Everything I have written has felt so forced. So…overthought. Now, as I sit in a hotel room, over a 1,000 miles away from home, having completed my first day of training to work at a school here in the USA starting this fall, I can’t help but feel like I have a little bit of explaining to do. Except, I am not going to think much about how this comes out. This explanation is going to be messy, but it’s going to be from my heart. I student taught this spring, as the final part of my undergraduate degree in elementary education. It was fun. It was stressful. Some days were exciting. Most days were exhausting. Every single day was insightful. That led me to revisiting the drawing board; I began to reevaluate the whole dream. Why did I want to go to Zimbabwe to build schools in the first place? To help the children who otherwise wouldn’t be helped. What are the practical things standing in the way of me moving to Zim to build schools right away? Inexperience. School debt to pay off. A really shaky plan. And just a few months to make a huge life decision. Now, I didn’t want to admit to myself these real barriers. I felt like I was betraying the dream if I didn’t go do it now! But when I peeled back the layers, I realized that the only reason I felt like I needed to move right NOW was my pride. I never wanted to have to write this blog post about why I wasn’t moving yet. I wanted to be the 22 year old on Oprah’s Super Sunday special who got to talk about how I was changing the world, one school at a time. However, I began earnestly praying a prayer of surrender, giving my plans AND timing into God’s hands. That very week, I got information about a teaching opportunity in a sunny state that, for some reason, just seemed like it might work. A week later after (spending longer than usual) speaking with Jesus in the morning (I filled 4 pages of my prayer journal! ), THAT VERY DAY I got a call, asking me to fly in for an interview. A week after that, I was in a sunny city, interviewing for a teaching position. And that very day, I was offered a wonderful job in a school that I believe will be the perfect fit for me. It’s what I need to do right now. So, maybe in 2, 4, or 7 years I may move permanently to Zimbabwe. But for now, I’ll have to settle for short-term summer and Christmas break trips. So…what will happen to the dream of TineVimbo? It’s no longer a dream. By God’s grace (no seriously, God has done SO MUCH) I have already intentionally begun making a difference for Zimbabwe. 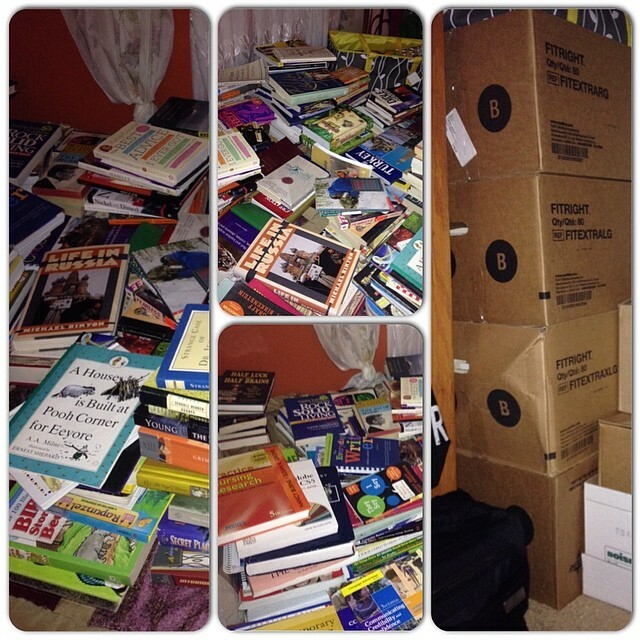 I’m in the midst of a book drive, in which I was trying to collect 1,000 books to send to Zimbabwe with people I know who are moving there. As of news I got just yesterday, it looks like we may end up with more than 3,000. And a crate full of laptops for the students there. In addition, Cora and I (the co-founder of TineVimbo) plan to go to Zim next summer for our first short-term project. We’re unsure of what it’ll be (possibly a short summer camp or we may go build a library and a water well)….we’re not sure about a lot. What we are sure of is that TineVimbo isn’t just a dream anymore. And this blog post does not signify the end. But rather, the beginning of the first REAL chapter of the work of Tine Vimbo. About a month ago, I was inspired to do something big. Like really big. I came up with the idea to raise money to build a school in Zimbabwe. Let me back-track. I’m a senior in college in the US, who is currently studying elementary education, and I’ve always had a passion for children and teaching. -Officially register my non-profit organization “Tine Vimbo” – Schools Providing Hope. -Contact my relatives that live there. Contact people I know that live there. Contact err’body and their mama. -Plan, plan, plan. Make a to-do list. Make a timeline. Get serious. As you can tell, this is a bit much for any one person to-do, which is why I’m trying to surround myself with wise people. I will be taking at least one other person along with me on my journey, probably my father, so that I won’t be alone. But I might need a team 🙂 We’ll see about that – everything is still so new! 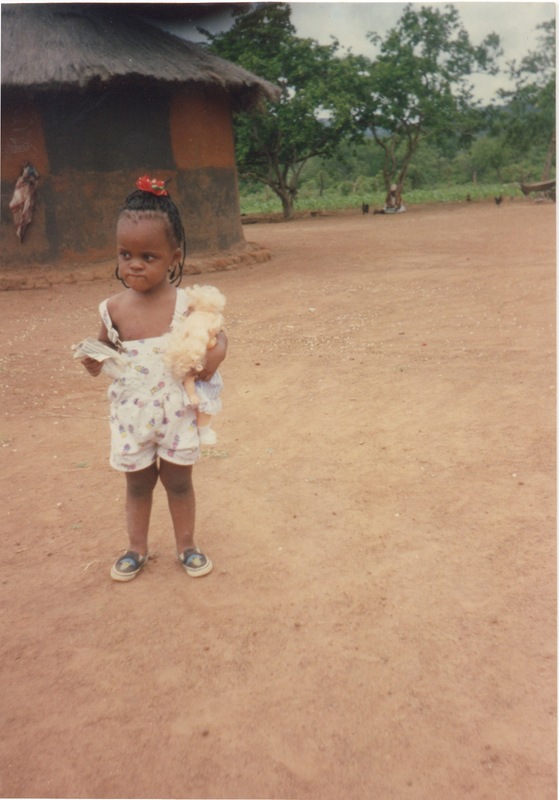 On a visit to Zimbabwe, by my Gogo’s [grandma] house when I was 3 years old. Why a school? Why now? I have conversations with my friends all the time about “changing the world” and “doing big things”. It seems like our generation, more than others before, is obsessed with making a difference and leaving our mark on the world. For me, it’s personal. I was born in Zimbabwe. Yes, I came to the US when I was 2 months, and I am now officially an American (as of last summer), but I still have Zim blood pumping through me. My grandparents live in Zimbabwe. Some of my extended family still lives there. It’s home. And though I haven’t visited since I was 12, it stays in my heart. I was heartbroken when a month ago I read about the issues that my home country is still facing today, especially with education. Read this article by UNICEF for more in-depth information. If someone doesn’t take action, things will only get worse. I’ve got a burden on my heart for the children of Zimbabwe.